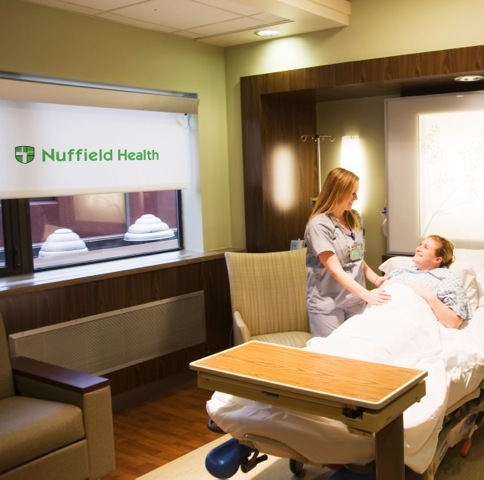 The hospital environment is a complicated and hectic place, but convalescing patients need to be able to rest and recover. Citrus Rain has supplied many surgery and hospital blinds, providing blackout or screen roller blinds that help with functional light control to create a calmer environment for rest and recovery. Simultaneously, these blinds support and promote the hospital’s brand by featuring a logo or slogan. Along with assisting to create privacy and other practical benefits, our hospital blinds can be designed to reinforce a positive image of the premises to patients, hospital staff and visitors. Healthcare blinds have a very important role to play in ensuring patient comfort. Typically, we would simply move to avoid the glare of the sun, but this is not possible for someone bound to their bed. In addition to allowing manual adjustment to increase or decrease light levels, you can automate the blinds so the patient can raise or lower them at the touch of a button. Our dedicated team are available to discuss automated upgrades to roller blinds and will help you find a solution for your hospital. Enquire today for advice or further information about Citrus Rain’s blackout, screen and printed roller blinds.